Research by UNL physicist Herman Batelaan helped answer questions about a little-understood quantum physics phenomenon – the Aharonov-Bohm effect – whereby electrons can be affected by electromagnetic potentials without coming in contact with actual force fields. Predicted by Yakir Aharonov and David Bohm in 1959, the theory was received with skepticism. But many questions were answered by experiments in Japan and at UNL. A 1986 Japanese experiment showed the action-at-a-distance effect is real. Batelaan’s 2007 experiment showed there is no force acting on the electrons. The findings were featured on the cover of the September 2009 issue of Physics Today, along with an article by Batelaan and the Japanese scientist reviewing research into this phenomenon. Most high school students have cheated on tests and homework. In some cases, they don’t consider their actions inappropriate, a study led by UNL educational psychologist Kenneth Kiewra found. An anonymous survey of 100 high school juniors showed students generally understand what constitutes cheating but do it anyway if they think they won’t be caught. Attitudes are connected with effort; for example, most students believe sharing test answers is more dishonest than divulging test questions. Students also perceive in-class cheating, like providing answers to a classmate during a test, to be more dishonest than misdeeds outside class, such as doing homework with a partner. Mid-Western Educational Researcher published the study, which shows teachers need to clearly spell out what constitutes cheating and vigilantly police it. UNL’s Panhandle Research and Extension Center marked 100 years of agricultural research during its 2010 centennial. The Scotts Bluff Experimental Substation was established on 160 acres near Mitchell, Neb., in 1910 to research how to successfully farm newly irrigated land in the state’s arid Panhandle. Over the years, it expanded and moved, eventually becoming the Panhandle Research and Extension Center. The original site – now known as the Mitchell Station – remains an integral part of the university’s research program focusing on the region’s agriculture. It includes the Knorr-Holden Continuous Corn Plot, which has been planted to corn since 1912 and is the oldest irrigated corn research plot in North America. A nationwide study led by UNL sociologist Julia McQuillan showed that nearly one in four women is ambivalent about pregnancy. In a study of 4,000 sexually active women ages 25 to 45, 23 percent responded they were not trying to conceive or prevent a pregnancy. The findings challenge the assumption that women of childbearing age are always trying, one way or another, to get pregnant or prevent pregnancy. Accurate measures of women’s intentions are important for estimating the unmet need for contraception, building more effective family planning programs, promoting infant health and improving maternal and infant well-being. Maternal and Child Health Journal published the findings. Construction management faculty in The Durham School of Architectural Engineering and Construction are developing an online curriculum to train U.S. veterans for jobs to make buildings, especially healthcare facilities, more energy efficient. The training emphasizes reducing energy use and improving air quality in aging commercial buildings and healthcare facilities, which are among the most energy-use intensive buildings. A $405,741 grant from the U.S. Department of Energy funds this project through the American Recovery and Reinvestment Act. Successful sequencing of the soybean genome is opening doors to improving this important legume for food and fuel production. UNL soybean geneticist Jim Specht was among the 45 researchers who published a complete draft of the soybean genetic code in Nature. This achievement resulted from a nationwide collaboration involving 18 institutions, including universities, the U.S. Department of Energy Joint Genome Institute and USDA’s Agricultural Research Service. The DOE, National Science Foundation, USDA and United Soybean Board funded the research. 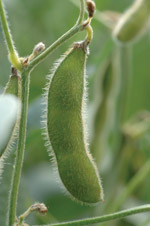 Availability of the soybean genetic code will significantly speed up breeding to enhance the crop. Since the first particle collisions occurred at the Large Hadron Collider at the European Organization for Nuclear Research near Geneva, Switzerland, in November 2009, UNL’s high-energy physics team has been capturing and analyzing data. UNL physicists are involved in one of the two largest experiments, the Compact Muon Solenoid, a particle physics detector designed to investigate a wide range of questions, including the search for the Higgs boson, extra dimensions and particles that could comprise dark matter. UNL’s team leads management for the U.S. CMS Tier-2 project, a collaboration of seven U.S. universities selected to capture and analyze the vast volumes of data generated by the international Large Hadron Collider project experiments. Recent discoveries by UNL chemist Xiao Cheng Zeng’s team are expanding understanding of how materials – especially water – behave on the molecular scale at extremes of temperature, pressure and confinement. Using a computer simulation, they discovered a two-dimensional ice clathrate. A clathrate is a molecular cage, usually three-dimensional, in which molecules of one substance are enclosed in the crystal structure of another. Their simulation revealed a flat, single-layer ice clathrate. As the two-dimensional ice formed under negative pressure, it developed into an interlocking pattern of small square-shaped openings and larger octagonal-shaped openings. Hydrophobic argon atoms used in the experiment filled the octagonal "cages" in the ice clathrate. The team reported this and related discoveries in the Proceedings of the National Academy of Sciences. The Department of Energy funded this research. History professor Margaret Jacobs received the 2010 Bancroft Prize, one of the highest honors for American history writing, for her book White Mother to a Dark Race: Settler Colonialism, Maternalism, and the Removal of Indigenous Children in the American West and Australia, 1880-1940, published by the University of Nebraska Press. Jacobs describes white women’s roles in removing indigenous children from their families and assimilating them into American and Australian cultures. The book also describes what motivated these women – often surrogate mothers and teachers – to separate indigenous children from their families and how this practice affected the children and the culture as a whole. Columbia University annually awards the Bancroft Prize to authors of distinguished works in American history or diplomacy. Humans and other organisms produce millions of small RNAs (ribonucleic acid) that regulate gene expression and ensure proper development of healthy cells to protect against viruses. Until recently, no one was sure how biology weeded out the defective from normal RNAs. A UNL team, led by biologist Heriberto Cerutti, and University of Delaware colleagues identified two enzymes in a green alga that operate as quality controls, eliminating malformed small RNAs. The discovery of a quality-control mechanism is especially relevant for crops and humans because many viruses that attack plants and humans are RNA-based. The findings were published in the Proceedings of the National Academy of Sciences. Duckweed, a tiny floating pond plant, is helping biologist Chad Brassil better understand how temperature fluctuations affect food webs − the relationships among species in an ecosystem and what they eat. About the size of a pencil eraser, duckweed is important to the wildlife food chain. Brassil wants to create better models for predicting how climate change may impact food webs. He’s testing predictions that temperature variations reduce indirect ecosystem interactions, relationships involving species that are connected through an intermediate species. These dynamics are harder to study than direct relationships between species and prey, but vital to an ecosystem. A five-year, $531,141 National Science Foundation CAREER Program award, which supports outstanding pre-tenure faculty, supports his research. He’s also launching an outreach program to give elementary and college students hands-on experience creating their own duckweed community research projects. Their findings will inform Brassil’s research. The campus celebrated faculty and student achievements in research, scholarship and creative activities during the 2010 UNL Research Fair. The first-ever University-Industry Day, hosted by NUtech Ventures, kicked off the event and featured presentations on commercializing technologies and public-private collaboration. The eighth annual fair included recognition events, visits with federal agency representatives and collaborators, discussions with ADVANCE-Nebraska advisory board members and student poster sessions. Featured speakers were Arabinda Mitra, Indo-US Science and Technology Forum; Anthony Boccanfuso, the National Academies’ University-Industry Demonstration Partnership; Jennie Hunter-Cevera, RTI International; Jennifer Rice and Jason Lilly, Neogen Corp.; and Alan Christensen and Vikram Jaswal, National Science Foundation. An HIV/AIDS researcher and a Dead Sea Scrolls scholar shared their expertise during the 2009-2010 Nebraska Lectures: The Chancellor’s Distinguished Lecture Series. In his fall lecture, virologist Charles Wood, director of UNL’s Nebraska Center for Virology, outlined the history of HIV/AIDS and treatment breakthroughs in "HIV/AIDS Epidemic: What Have We Learned in the Past 28 Years?" In her spring lecture, Sidnie White Crawford, Willa Cather professor and chair of classics and religious studies, presented "The Dead Sea Scrolls After 60 Years: What Have We Learned?" She discussed the discovery, study and controversies related to these manuscripts. The Office of the Chancellor, the Research Council and the Office of Research and Economic Development co-sponsor these lectures featuring prominent faculty. David Forsythe, professor of political science, was general editor of The Encyclopedia of Human Rights, which won the American Library Association’s Dartmouth Award for the best reference source of 2009. David Wishart, professor of geography, coauthored Great Plains: America’s Lingering Wild, which won a 2009 PROSE Award from the American Association of Publishers for best book in biological and life sciences. 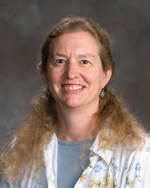 Elizabeth Theiss-Moore, professor and chair of political science, wrote Who Counts as an American? The Boundaries of National Identity, which won the American Political Science Association’s 2010 Robert E. Lane Award as the best book in political psychology in 2009. Biochemistry professor Donald Weeks was elected a Fellow of the American Association for the Advancement of Science. He was recognized for distinguished contributions in the field of plant biotechnology in developing a novel and innovative approach to engineering herbicide-resistant crops. Thomas "Jack" Morris, professor of biological sciences, and Cheryl Bailey, assistant professor of biochemistry, were named National Academies Education Fellows in the Life Sciences for 2010-2011. They represented UNL at the 2010 National Academies Summer Institute on Undergraduate Education in Biology, which involved teams of faculty from 18 research universities that focused on enhancing undergraduate education. The Society of Actuaries named UNL’s Actuarial Science Program among its first Centers of Actuarial Excellence, one of 13 universities in the U.S. and Canada to earn the designation. UNL’s Midwest Roadside Safety Facility, directed by civil engineering professor Dean Sicking, earned a Roadway Safety Award for developing the Midwest Guardrail System, a highway guardrail that improves safety in crash situations. UNL’s was one of 14 programs to receive the biannual award from the Roadway Safety Foundation and the Federal Highway Administration.